The problem with tech is that the really cool stuff doesn't usually turn up. From the jetpacks we were promised as kids to Intel's latest concept PCs, what we actually end up with tends to be considerably more mundane - Ryanair instead of jetpacks, or incremental improvements on kit we've already got. The iPhone was the exception. It was the jetpack, the flying car, the house on the moon and the food in pill form, the outrageous promise actually delivered. Where other phones had clearly been made, the iPhone could have been recovered from the wreckage at Roswell, evidence of an alien civilisation who'd never discovered cut, copy and paste. 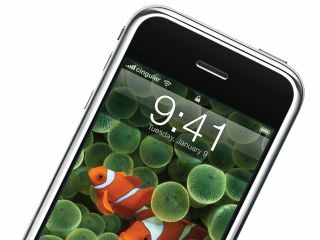 The iPhone turned five yesterday, and I don't think it's an exaggeration to say that it completely transformed mobile tech. Before iPhones we had Orange SPVs and shoebox-sized BlackBerries. Now, we get goodies such as Sony's Xperia S, Android powerhouses and a really nice mobile Windows. Are you an Android fan? If it weren't for the iPhone, you'd have a Google-powered Blackberry. The most important thing about the iPhone, to me at least, wasn't the hardware. It was the way people reacted to it: it generated so many oohs and aahs from people that you'd think Apple had made a baby, not a pocket computer. I've never heard people talk about gadgets in the way people did (and do) about the iPhone. People - normal people, I mean, the kind of people who couldn't care less about tech - were smitten. That never happened with a BlackBerry 8100 or an Orange SPV. Have others copied Apple? Of course, and that's good. Apple changed the game, and everybody with a smartphone benefited. Today's smartphones - and their bigger brothers, tablets - are things of wonder, the sort of objects you'd previously see on TV programmes set hundreds of years in the future. Whether your weapon of choice is Android or iOS, Mango or BlackBerry, it owes the original iPhone an enormous debt.